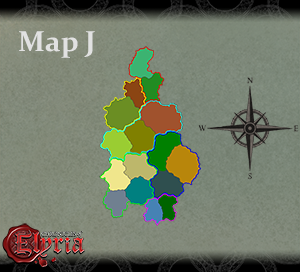 Home > News > Map Voting Round 1 Concludes, On to Round 2! Map Voting Round 1 Concludes, On to Round 2! 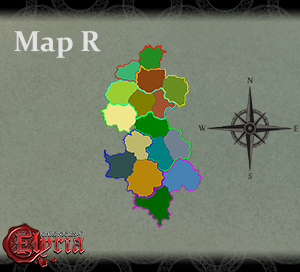 If you haven't been living under a rock, you may have noticed that we just completed Round 1 of Map Voting, a first of its kind event for Chronicles of Elyria, where our players have helped to determine the outcome of each servers starting continents! 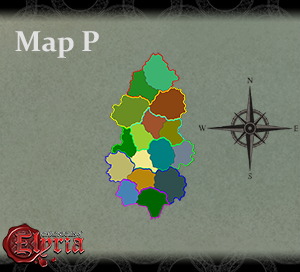 Our Map Voting event includes two rounds of community voting and lasts a total of 4 weeks, 2 for each round. We initially launched this ambitious experience 2 weeks ago on October 22nd and ended today, November 2nd at 12 pm PDT. For a recap of the rules, guidelines, details, and an FAQ, see this original announcement post. 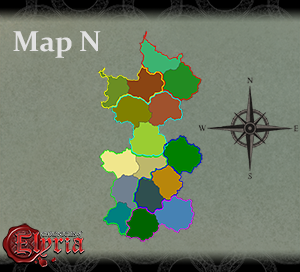 After millions of Player Influence had been spent, thousands of votes cast; and after players voted, argued, schemed, and debated over 20 of the initial starting continent maps that were made available to them, 5 maps emerged victorious for the servers, Selene (EU), Luna (NA-E) and Angelica (NA-W). Each of the servers now have their pool of maps to vote for during Round 2. 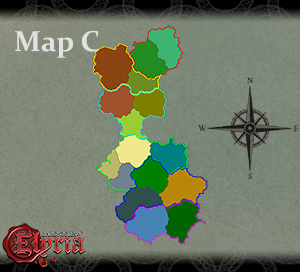 Additionally, since Oceania (OCE) didn't have maps to vote on during Round 1, they are are now also ready to participate in what will undoubtedly become an even bigger and much more exciting 2 weeks here in the Chronicles of Elyria community! Now that Map Voting Round 1 has come to a close and all the votes and player influence has been tallied up, it is time to announce the official results! 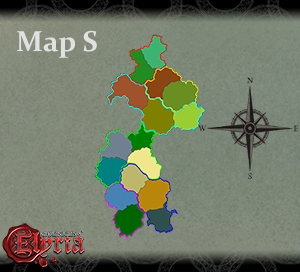 With no further ado, here are the maps that the servers Angelica, Luna, and Selene will be voting on in Round 2! Thank you to everyone for your participation. All votes will be reset. Your number of votes will once again be equal to the number of Sparks of Life you have. If you haven't purchased any more or upgraded since Round 1 started, this will be the same as at the beginning of Round 1. This round is defined as Final Map Voting. All four (4) servers will participate in Final Map Voting. This period lasts a total of 11 days. 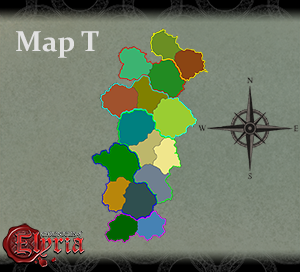 Maps will contain more details than in Map Pool Voting (Round 1) and include topographical data, additional coloring and shading. Each of the 4 servers will have a unique set of 5 maps to choose from. Note: Real time results will not be shown during Round 2 but will be announced to the community shortly after the voting period concludes on November 16th at 12 noon PST. 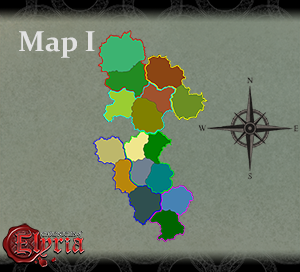 As previously mentioned, having Chronicles of Elyria backers vote on the potential server maps falls in line with our community-centric development approach. 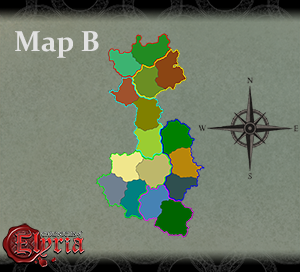 Map Voting allows each individual server to be very unique, right from the start and lets players help to set the stage for the Dance of Dynasties, arrange trade routes, make enemies/allies, cause conflicts, and it even allows for each server to have their own weather patterns! 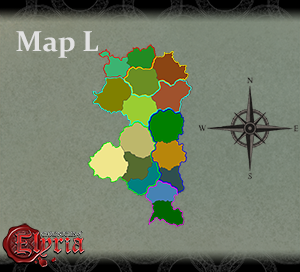 It exemplifies what we've said for a long time and for what our community has come to believe in - that Chronicles of Elyria is not just a standard game but something new and different. 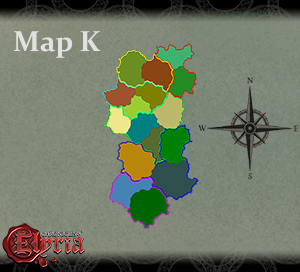 After Round 2 concludes, we will tally up the final results and post an announcement about which maps you have selected on our website. That's right - you the player. 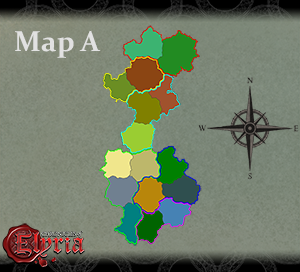 While Elyria is a world being built for its inhabitants, at the end of the day it's inhabitants will have the ultimate say in what world they want to live in. 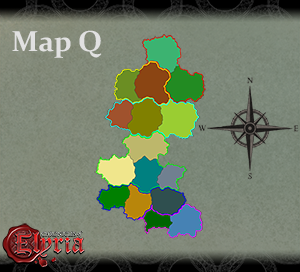 If you aren't there already, come join us in our official Discord server where we have made a special #map-voting channel! Come strategize, campaign, promote, and enjoy the conversation, fun, and memes that are all a part of this very maptastic event! We'll see you on Monday, November 5th, at noon pacific time for the start of Map Voting Round 2!!! The Queen's Carnival costume contest, that ended on Halloween, is being judged by our panel of Mods, Ambassadors and Devs. Next Monday we'll reveal the 3 winners and share the amazing costumes with you all! I voted for map N. It looks really balanced on the voting page and has an amazing spot for a war zone. 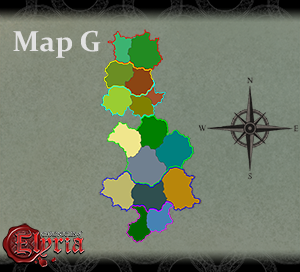 If you were to look at a geographical survey of the areas with iron, it looks like it has a balance of iron in both the north and south. if you vote for a map that has a large deposit or a valuable ore, it will not be valuable at all. surply and demand. the NPCs will react to this as well. so if you have a map with a lot of iron, you will not be the only one with a huge arsenal and an army of human tanks. but if the map has almost no iron, most people will fight with wooden and rock weapons anyway. I think you will not be able to make an advantage for you by map selection. you will have to wait for land selection. And i quote, (iron will be where hrothi are while iron deposits won't be anywhere else with the exception of bog iron). The definition of an ore deposit is a location where you will profit from heavy mining. This does not mean ore will not be in other location, it just means that the amount in hrothi and swamp regions are profitable and in other areas you will lose money if you are strictly going for iron. Thank you Chipla for clarifying for me. We will know things it would make sense to know. If there is an iron mine in the area, and generations of people have worked at this mine, it would not make sense for us to own this land and at launch be surprised at the iron mine. Likewise though if no one has ever looked for iron on this parcel, we will not know about it's existence until we are in game and possibly stumble upon it. Thank you Chipla for clarifying for me. We will know things it would make sense to know. If there is an iron mine in the area, and generations of people have worked at this mine, it would not make sense for us to own this land and at launch be surprised at the iron mine. Likewise though if no one has ever looked for iron on this parcel, we will not know about it's existence until we are in game and possibly stumble upon it. When is this game going to become playable? So, NA-E might have problems working out the question....? Good luck with that. @Thecutepig: Incidentally, when I visited North America, several years ago, my relative informed me in a shocked tone, following my query: 'This is America - we don't IRON!' So, NA-E might have problems working out the question....? Good luck with that. How can you tell which maps have metal deposits, and where, and in what quantity? That information will not be available until Domain and Settlement Selection. That being said, if you want bog iron, and know that it is found in the swamps, you can certainly vote for the biggest swamp map with the expectation of finding more bog iron than the maps with the smallest swamp. Posted By **Fyhlen** at 10:12 AM - Sun Nov 04 2018 > > How can you tell which maps have metal deposits, and where, and in what quantity? That information will not be available until Domain and Settlement Selection. That being said, if you want bog iron, and know that it is found in the swamps, you can certainly vote for the biggest swamp map with the expectation of finding more bog iron than the maps with the smallest swamp. Is that true? Will there be a kind of info about metal deposits? I mean... do we magically know what a mountain has in it? Or will we only know about those deposits, that are actually mined at the point of time when expo starts? Posted By **Labbe** at 7:17 PM - Sun Nov 04 2018 > > Posted By **Fyhlen** at 10:12 AM - Sun Nov 04 2018 > > > > > How can you tell which maps have metal deposits, and where, and in what quantity? > > That information will not be available until Domain and Settlement Selection. Is that true? Will there be a kind of info about metal deposits? I mean... do we magically know what a mountain has in it? Or will we only know about those deposits, that are actually mined at the point of time when expo starts? Depends what has been there before. If people in the history of Elyria (some thousand + years before we even see KoE) has found deposits there in the past then we will know what of (i.e. there is a preexisting mine there) we may also know some stuff about the likelihood of resources being found in an area but I seriously doubt they're going to tell us everything that is in our lands during Domain Selection - that takes half the fun away from the explorers. Posted By **Abbajan** at 7:23 PM - Mon Nov 05 2018 > > Posted By **Labbe** at 7:17 PM - Sun Nov 04 2018 > > > > > Posted By **Fyhlen** at 10:12 AM - Sun Nov 04 2018 > > > > > > > > How can you tell which maps have metal deposits, and where, and in what quantity? > > > > That information will not be available until Domain and Settlement Selection. > > > Is that true? Will there be a kind of info about metal deposits? > I mean... do we magically know what a mountain has in it? > Or will we only know about those deposits, that are actually mined at the point of time when expo starts? > > Depends what has been there before. If people in the history of Elyria (some thousand + years before we even see KoE) has found deposits there in the past then we will know what of (i.e. there is a preexisting mine there) we may also know some stuff about the likelihood of resources being found in an area but I seriously doubt they're going to tell us everything that is in our lands during Domain Selection - that takes half the fun away from the explorers. Are there going to be duchy lines this time? 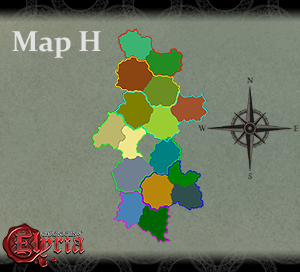 I wish Map H was an option on the Luna Server. I hope it wins on the Angelica server though. So hyped to finally see OCE maps. Bring on the map with billions of islands! Hoping the maps are a decent resolution like promised. This is the vote that matters, gotta have rivers bigger than 1 pixel. Looking forward to next round. May the best map win. Looking forward to Monday, bring on round 2! And after all that goodness you will maybe announce Alpha?